Drin Day 2016 celebrations in full swing! Today, May the 5th is a day dedicate to the Drin! This is the 3rd edition of an annual initiative dedicated to raising public awareness of local communities and the wider public about the natural wealth and legacy of the Drin River Basin. BIOSFERA, EDEN, GREEN HOME, GRASHNICA, PPNEA, ERA GROUP, MBROJTJA E MJEDISIT are this year’s Drin Day champion NGOs! 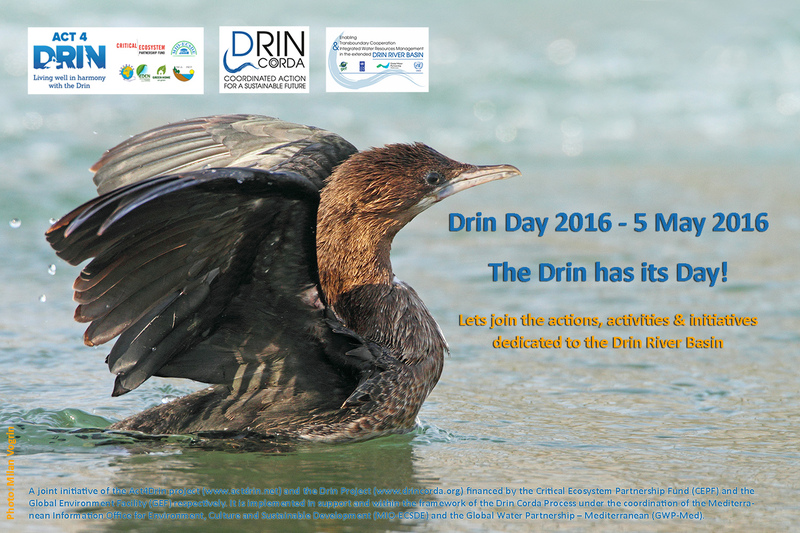 Drin Day 2016 is a joint initiative of the Act4Drin project (www.act4drin.net) and the Drin Project (www.drincorda.org) financed by the Critical Ecosystem Partnership Fund (CEPF) and the Global Environment Facility (GEF), respectively. The initiative is implemented in support and within the framework of the Drin Corda Process under the coordination of the Mediterranean Information Office for Environment, Culture and Sustainable Development (MIO-ECSDE) and the Global Water Partnership – Mediterranean (GWP-Med).